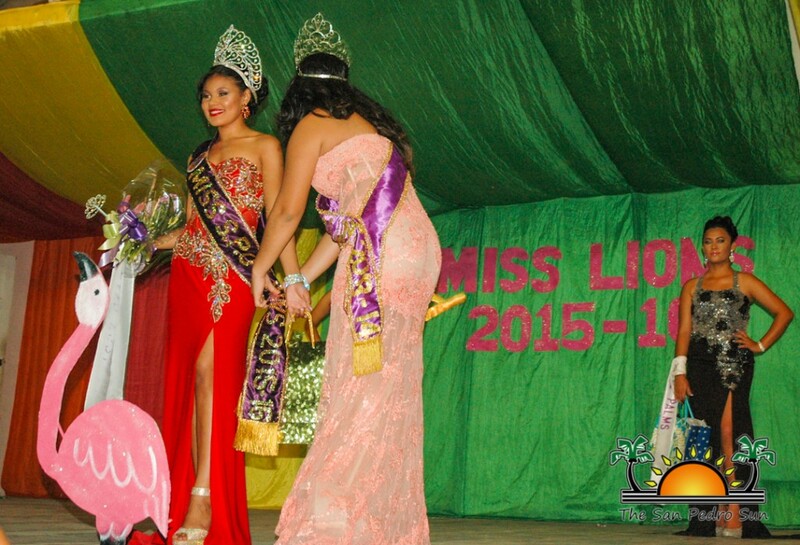 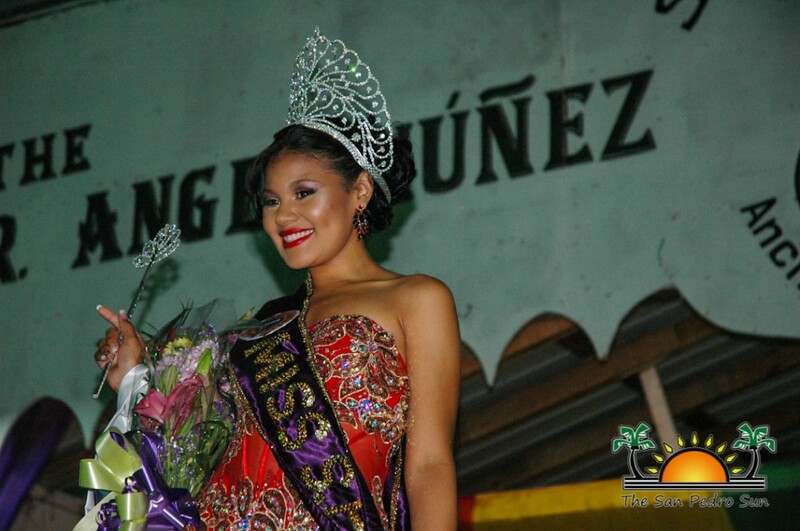 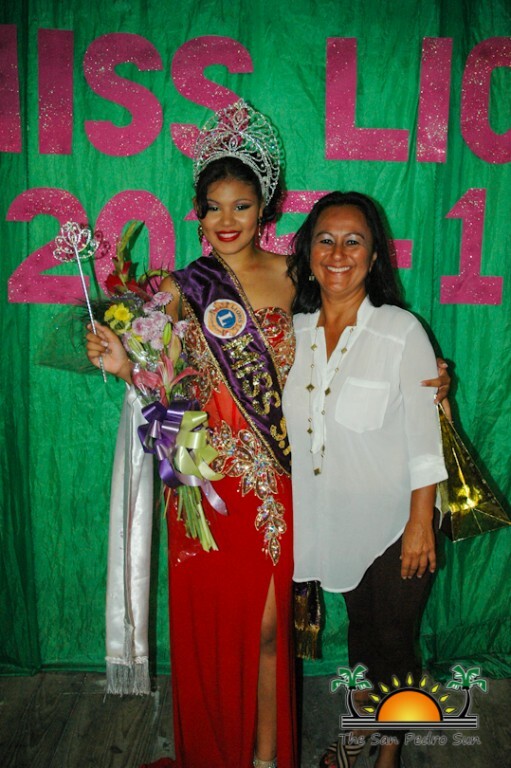 Marisha Thompson is the new Miss San Pedro Lions Queen 2015/2016. 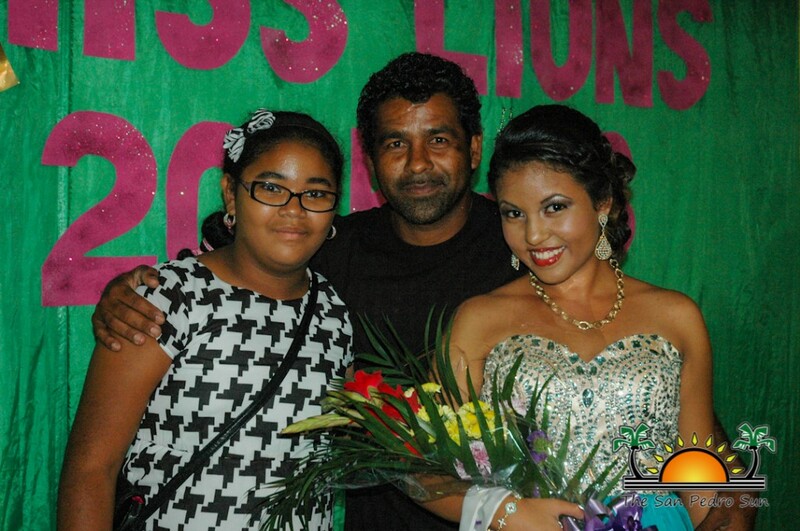 Thompson was selected by a panel of judges from amongst three other contestants on Saturday, March 28th at a pageant held at the San Pedro High School Auditorium. 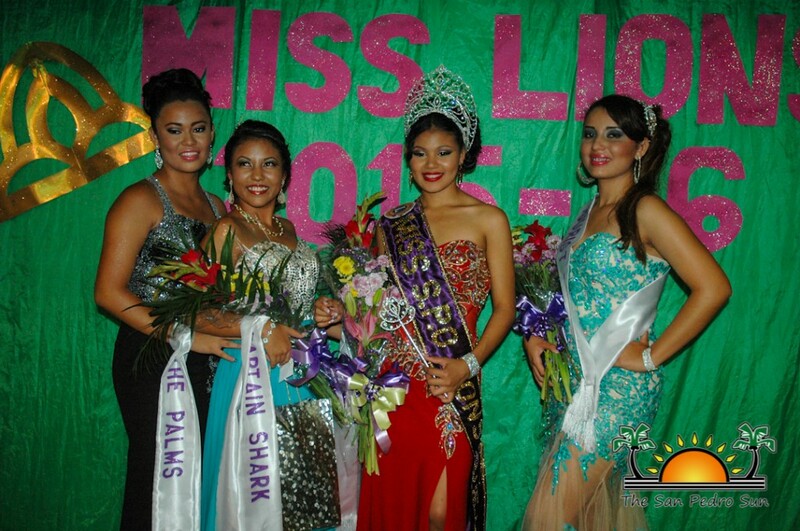 Four lovely young ladies participated in several rounds of competition throughout the night, ending with the announcement of the winners. 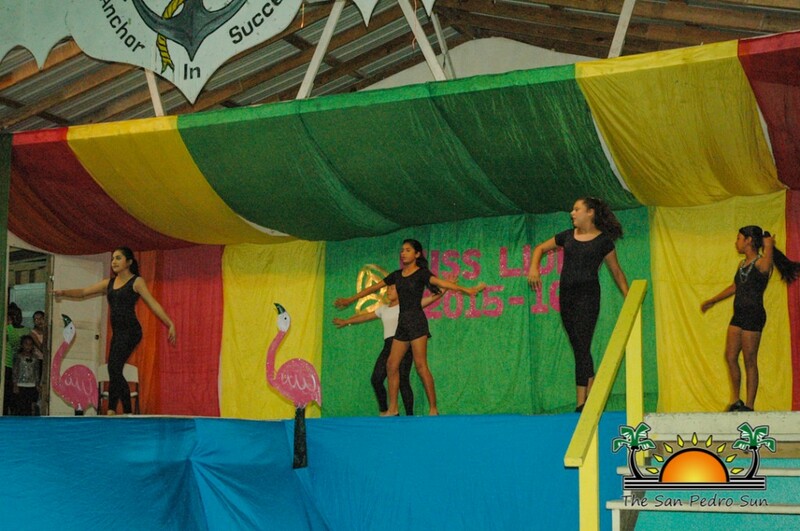 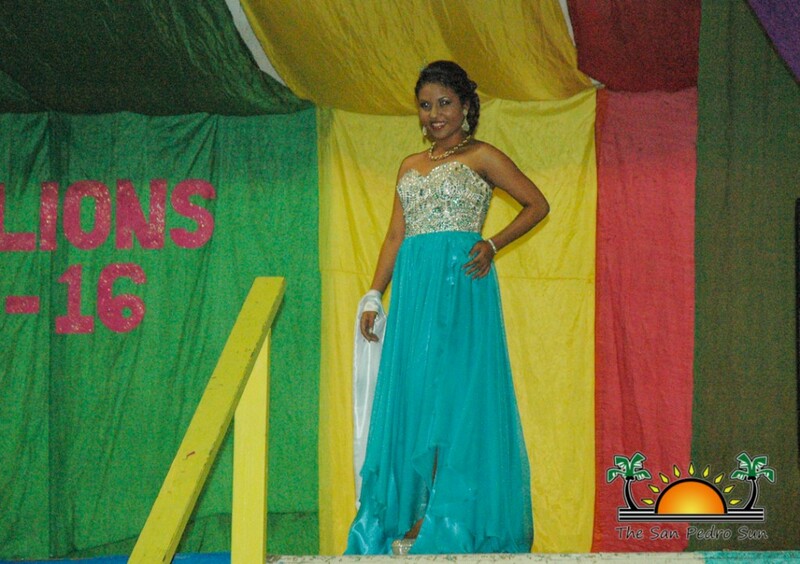 The four beauties participated in an entrance dance, in which Marisha Thompson, Ciara Duran, Ezra Jacobs and Jessica Bradley graced the stage in the company of outgoing queen Arlethe Lima. 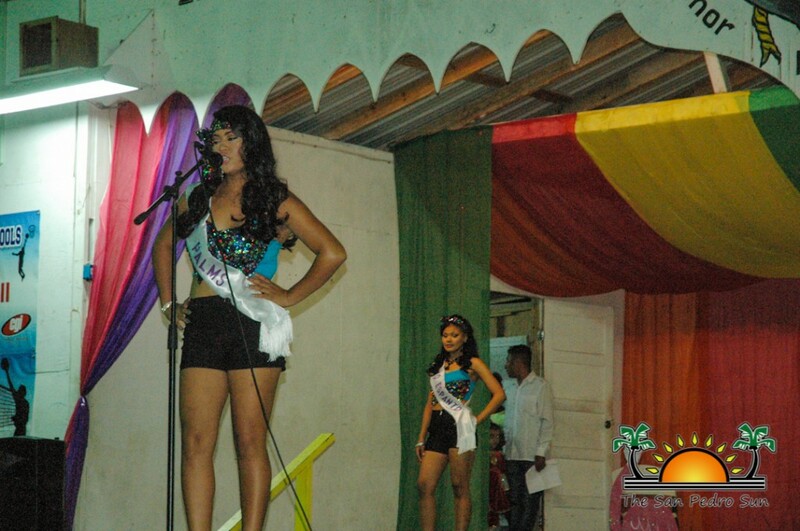 After stunning the crowd with their entrance, each young lady took to the microphone to introduce herself and her sponsor. 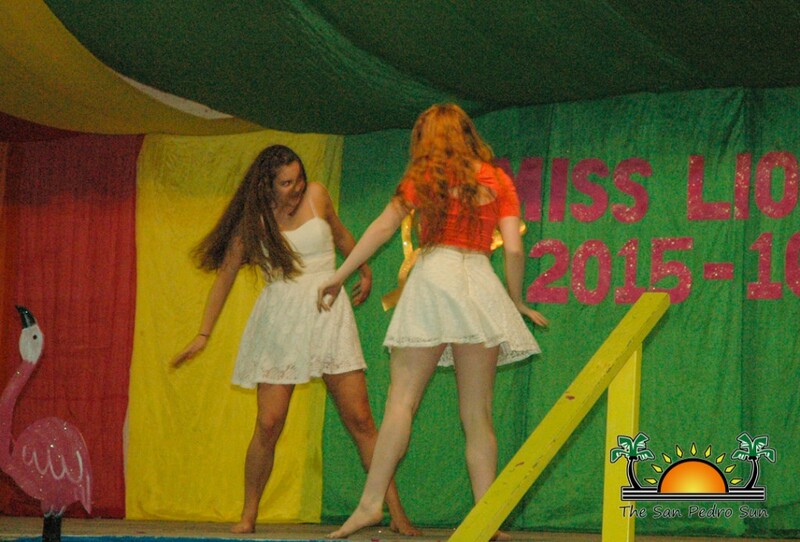 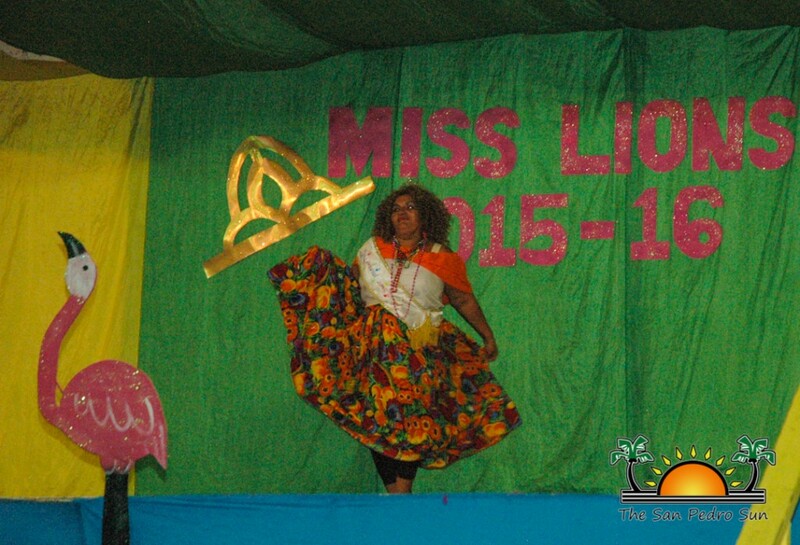 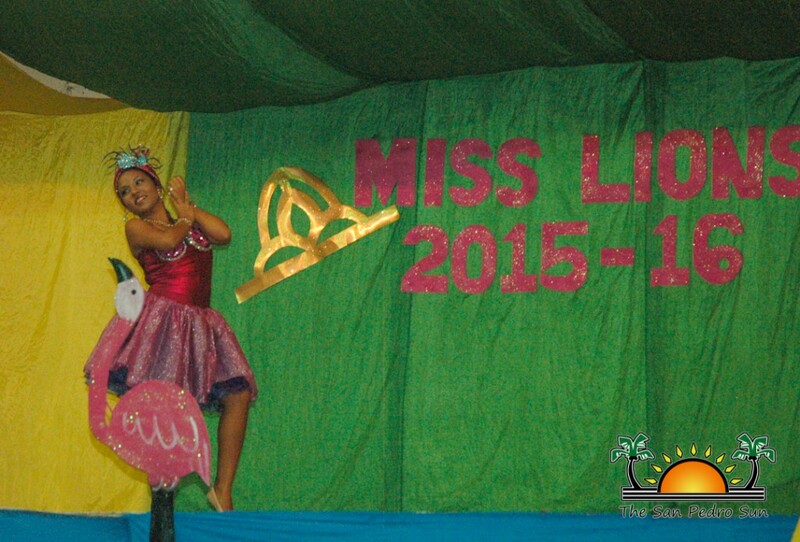 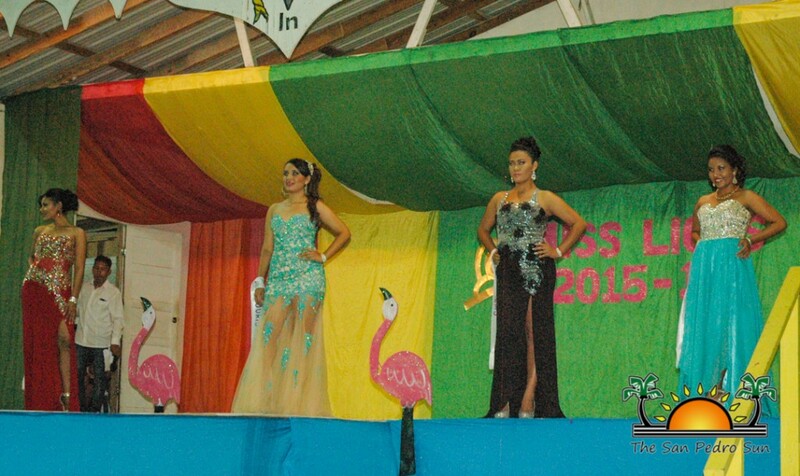 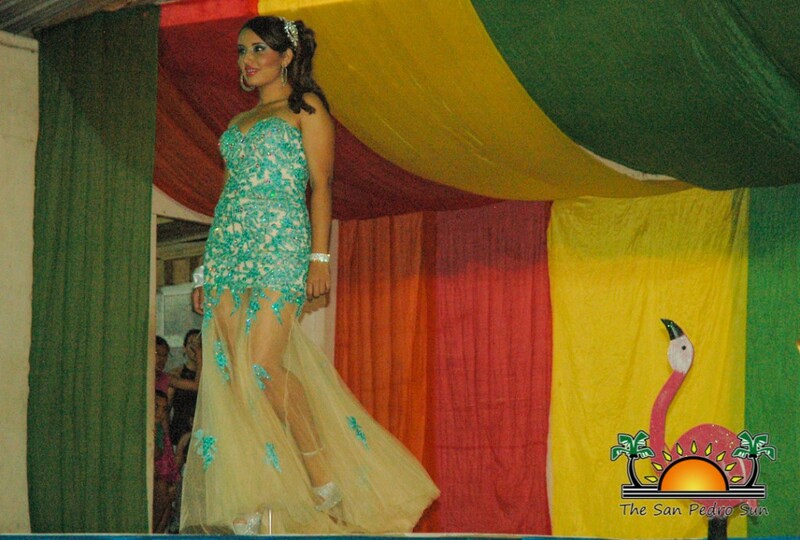 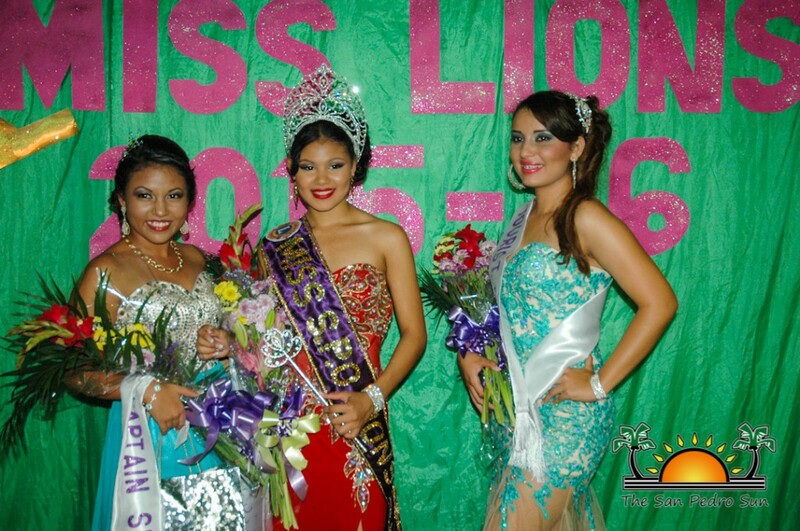 The Miss Lions pageant consisted of several rounds of competition, including entrance and introduction, Casual Beach Wear, Talent Segment, Evening Wear, and the Question and Answer segment. 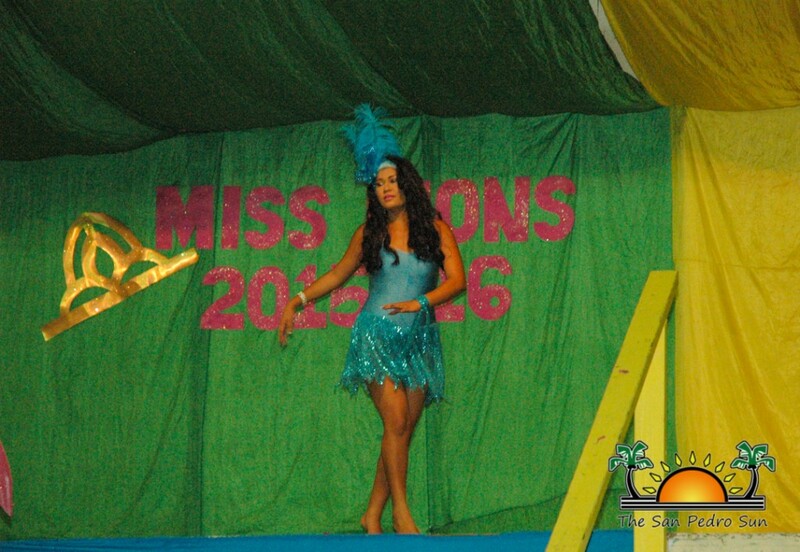 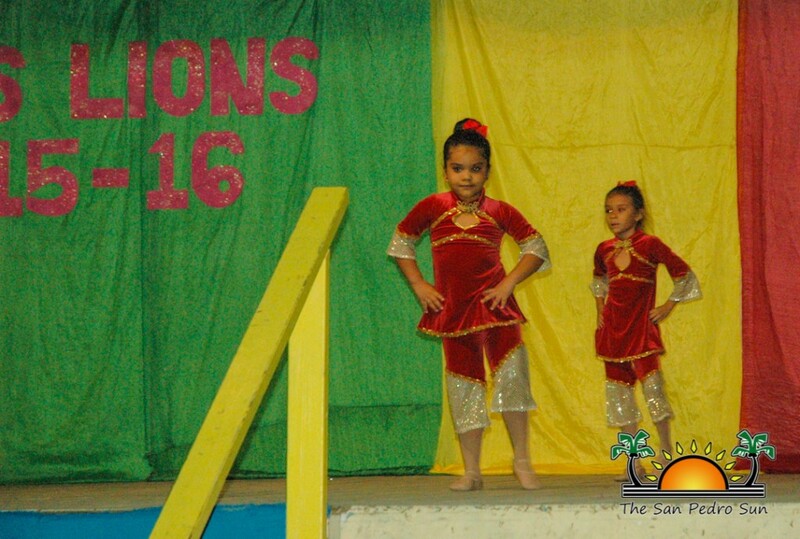 Throughout the various stages, the participants displayed beauty, elegance, talent and their knowledge of the Lions Organization. 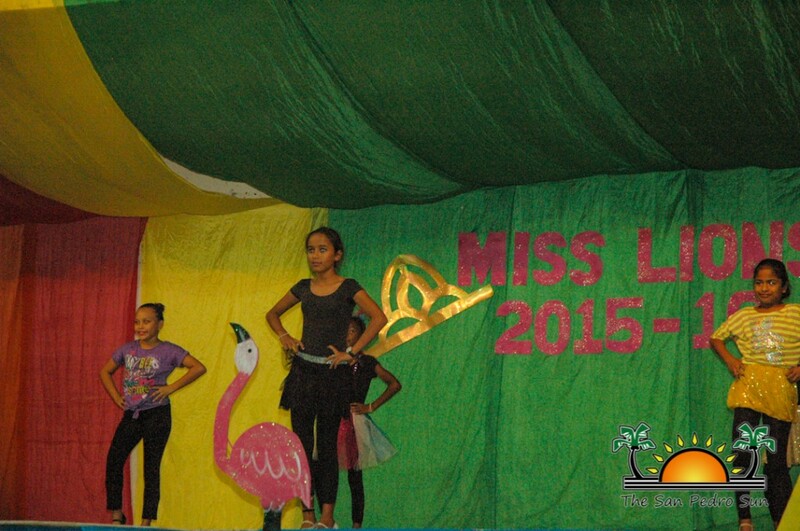 At the end of the Question and Answer segment, a panel of five judges submitted individual score sheets which were tallied immediately. 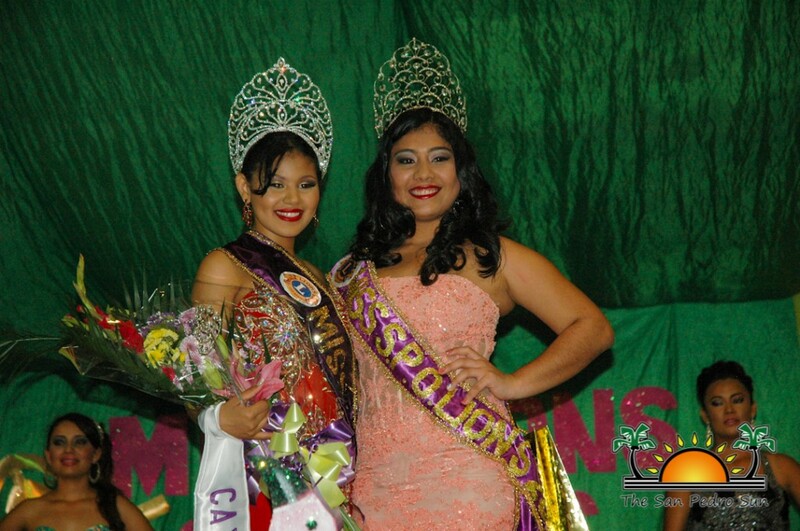 The title of Miss Photogenic went to Jessica Bradley, while Marisha Thompson was named Miss Congeniality. 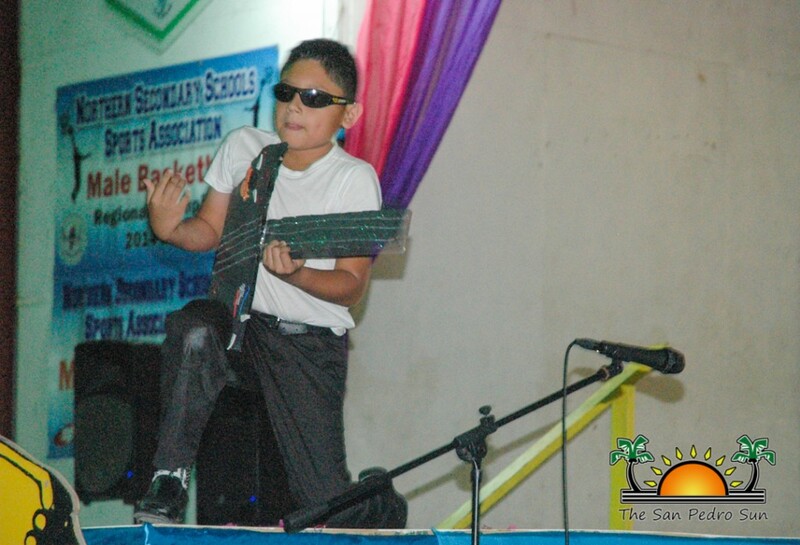 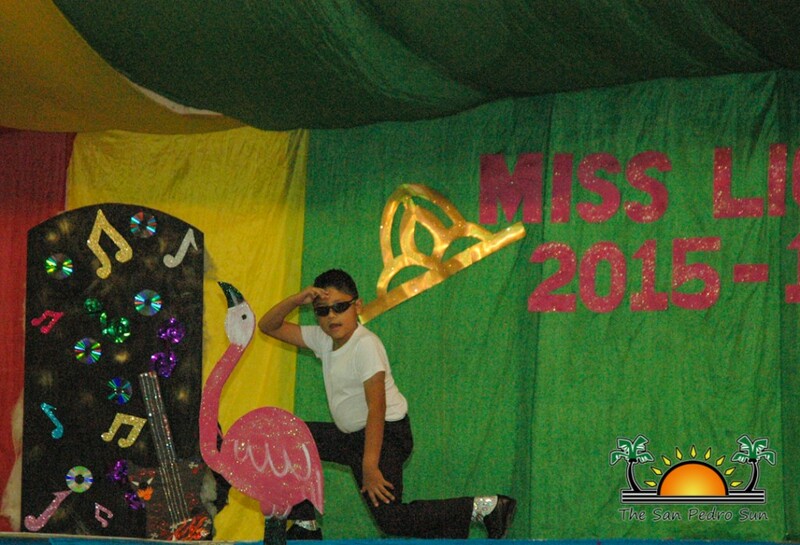 First runner up was Ezra Jacobs. 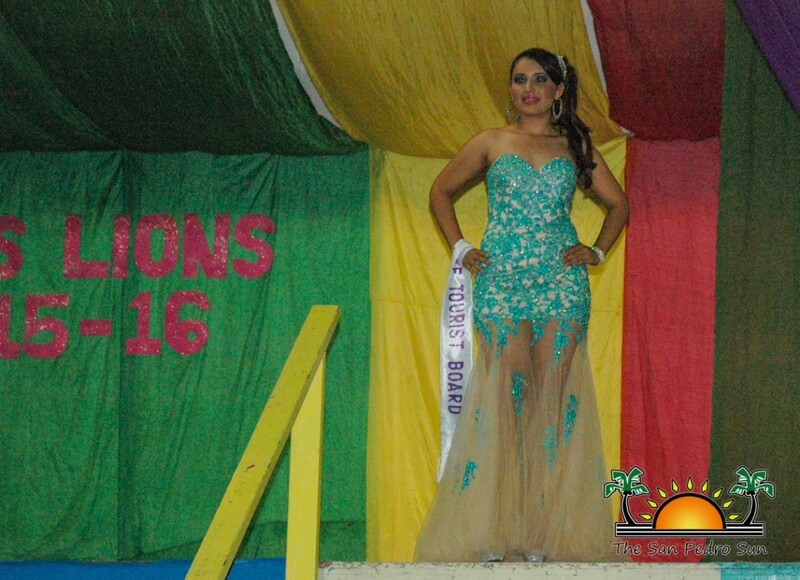 Taking the covented title was Marisha Thompson. 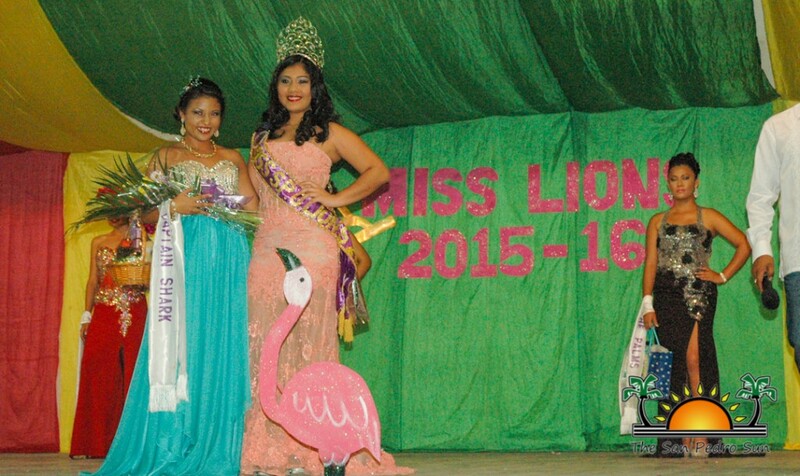 As Miss San Pedro Lions 2015/2016, Thompson took home $2000 courtesy of the San Pedro Lions Club as well as an assortment of other prizes. 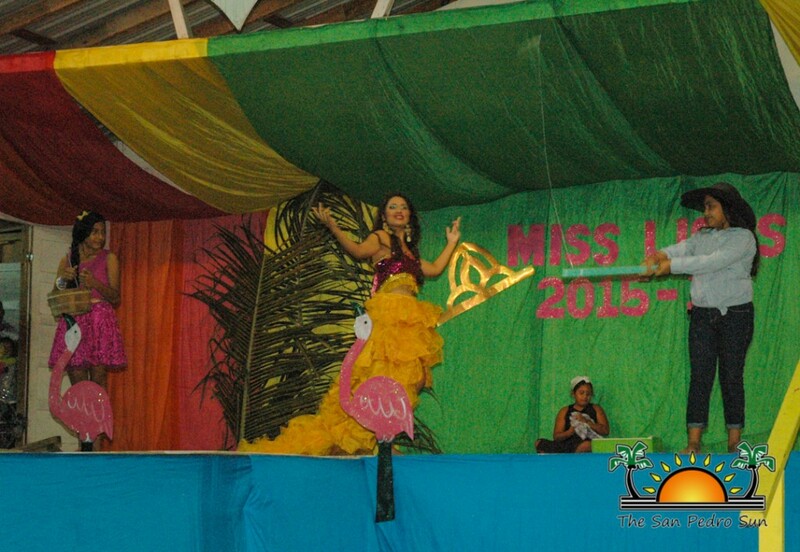 All the contestants received prizes including dining and water activities, gifts certificates as well as cash. 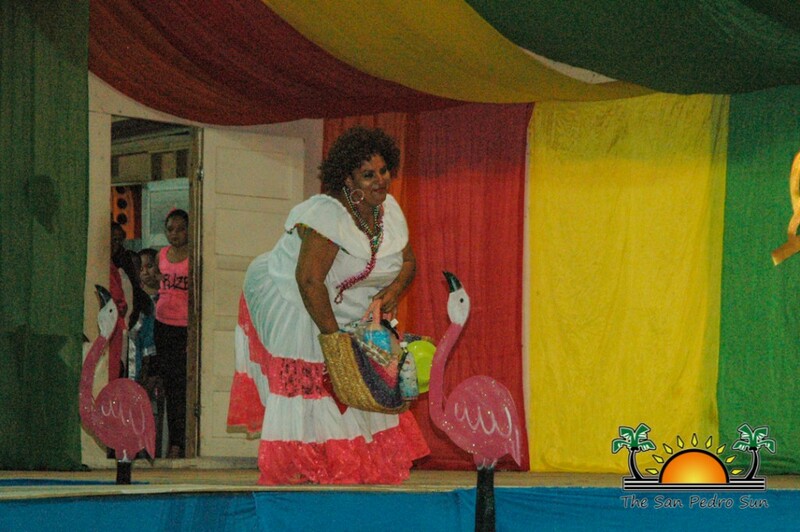 Throughout the night, several presentations entertained the crowd including dances by the San Pedro Dance Academy and a visiting US group from Wisconsin. 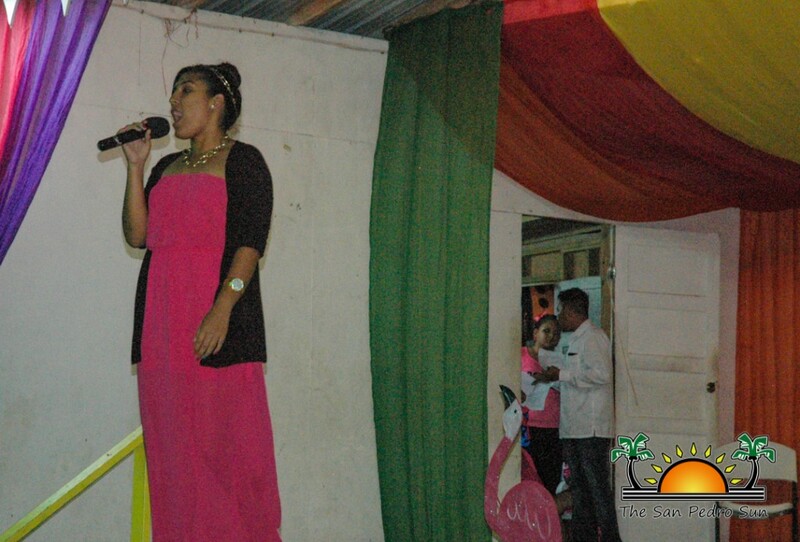 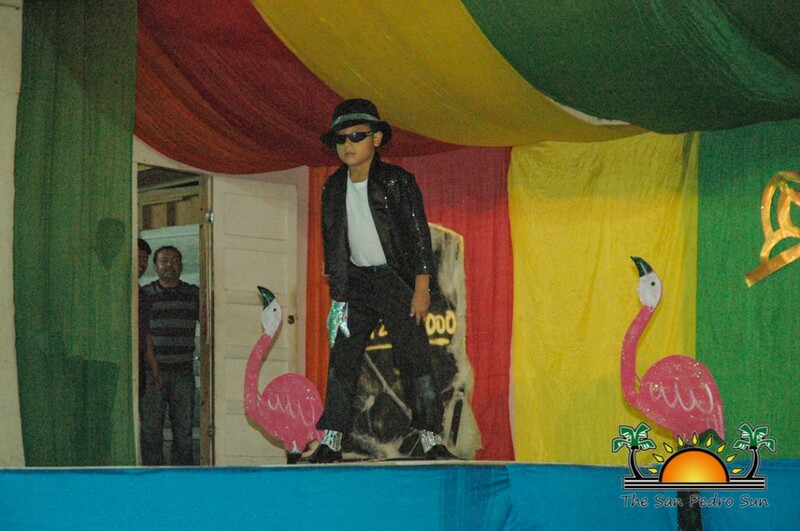 Neslen Rivero stunned the audience with her vocals while Peter Ramirez imitated Elvis Presley and Michael Jackson to perfection.Miss Carnival 2015/2016 Patricia Lopez even brought Celia Cruz to life on stage. 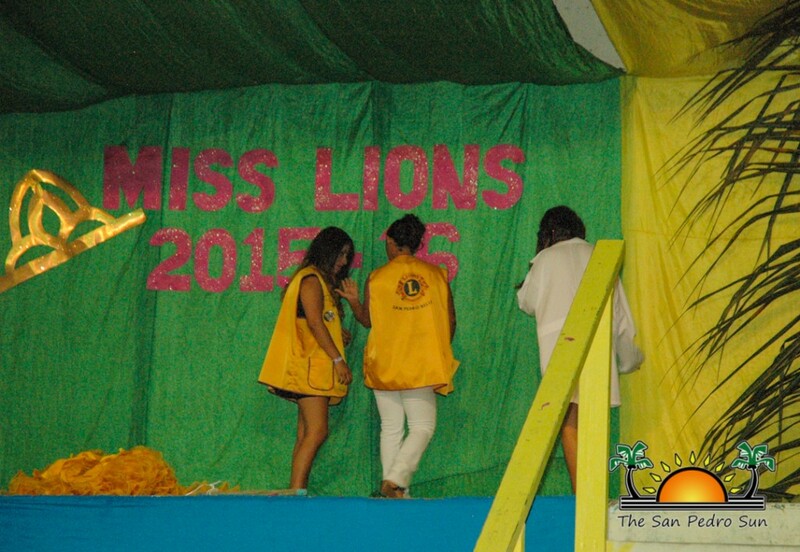 The San Pedro Lions Club would like to thank Captain Sharks, Castillo’s Hardware, The Palms Ocean Front Resort and Cayo Espanto Resort as their four main sponsors. 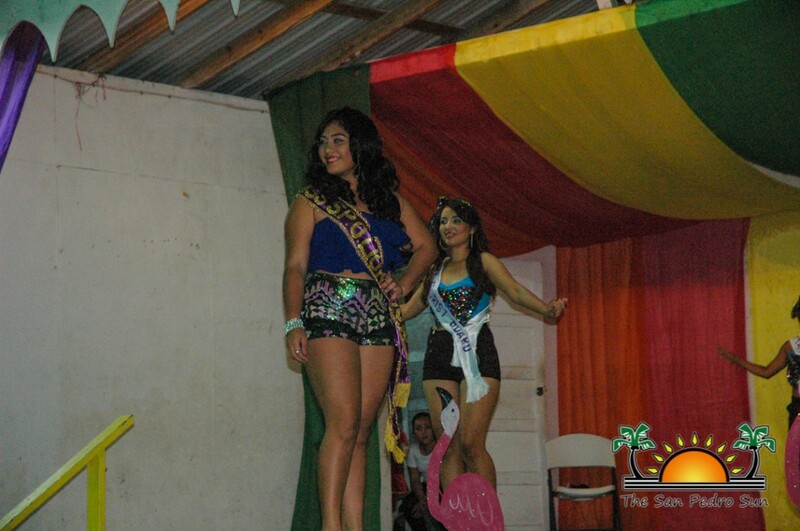 Other sponsors included Carlo and Ernie Runway Bar and Grill, Castaway Caye Watersports, Reef Adventure, Seaduce by Belize, Leslie’s Salon, Amigos del Mar, Top Noch, Forever Fancy, Wings, A & R, El Divino, Island Time, Lino’s Meat, Wild Mangoes, War Paint, Caye Supplies, Coral Cable Vision and Caribeaña Enterprises. 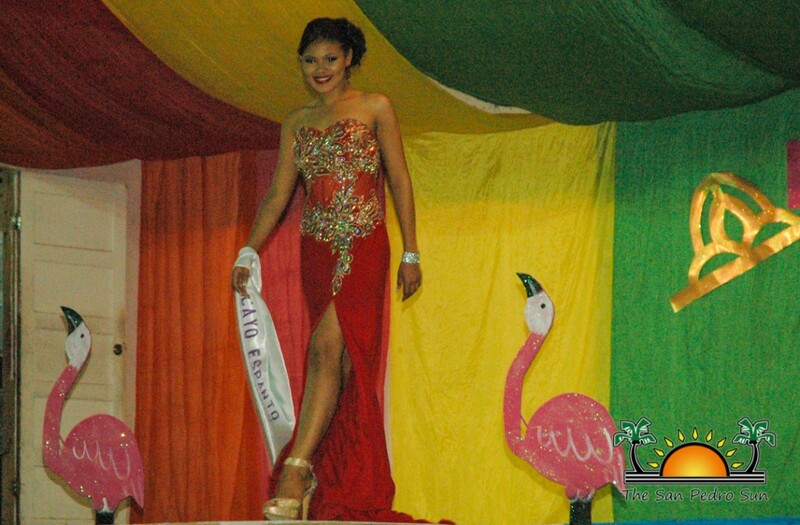 Costa Maya Festival® presents Miss Mexico!